The CBM product range protects against overload and short-circuit currents in 24 V DC circuits. The nominal current of each channel can be adjusted individually in fine increments between 0.5 and 10 A. The selected settings are locked electronically. This prevents the risk of unintentional adjustment. The integrated early warning system ensures fewer failures. If 80% of the set nominal current of a channel is reached, a warning is indicated via the associated LED. Furthermore, the separate signal output can be used for remote signaling and is also able to be remotely reset. Thanks to the active current limitation, the upstream power supply can be used optimally. 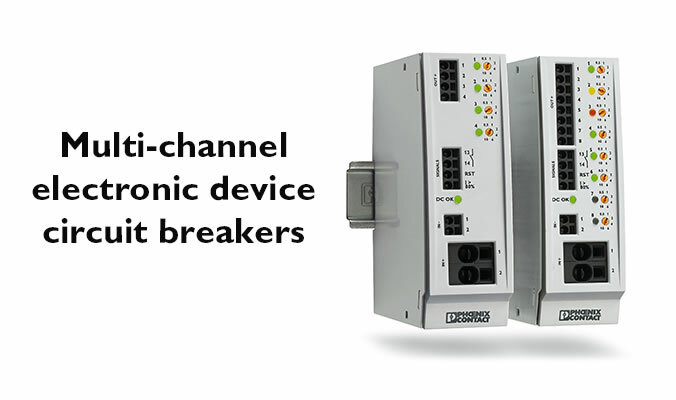 This enables the use of smaller switched-mode power supply units and prevents undesirable voltage dips. Our business address is 8240 Parkhill Drive, Milton, Ontario, L9T 5V7.